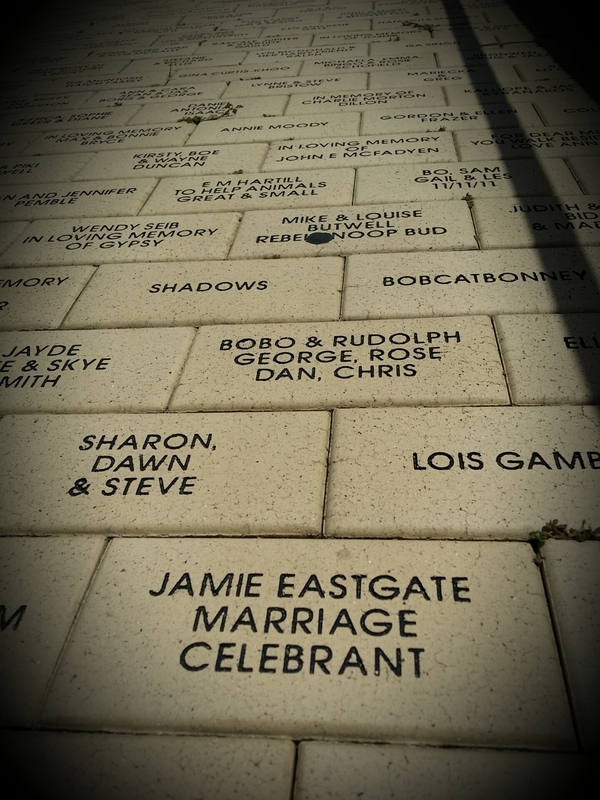 What amazing clients we have here at Brisbane City Celebrants! 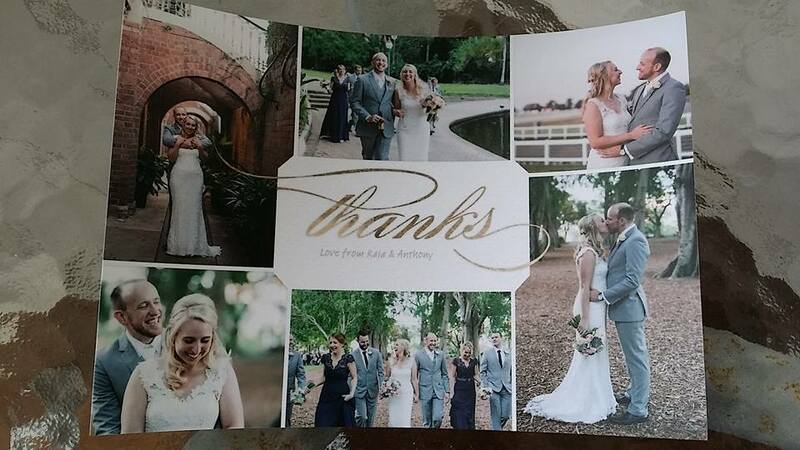 Kaia and Anthony enjoyed a happiness filled Brisbane City Botanic Gardens Wedding and were kind enough to mail this beautiful thank you card to me! This was a very special wedding as the couples impeccably well behaved dog was part of the ceremony and did the ring bearer duties solo! What a trooper! 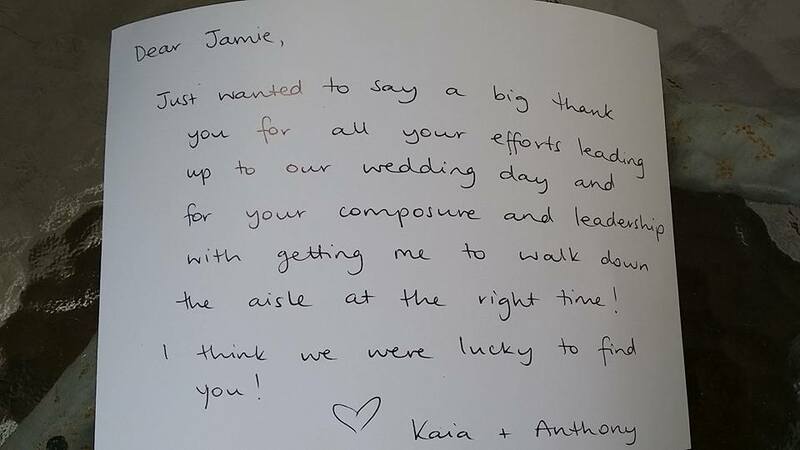 “Dear Jamie, we just wanted to say a big thank you for all your efforts leading up to our wedding day and for your composure and leadership with getting me to walk down the aisle at the right time! Thank you so much for such a thoughtful gesture Kaia and Anthony and thank you for choosing me as your Celebrant for your Brisbane City Botanic Gardens Wedding. If you enjoyed hearing about this sweet City Botanic Gardens wedding ceremony and are looking for a Celebrant for your Brisbane wedding, Jamie would love to hear from you. Contact Brisbane City Celebrants for more information and to confirm availability for your special day. As most of our clients know we are animal loving Celebrants and we get so excited when our couples bring their beloved pet along to the ceremony, usually as the ring bearer. After such an amazing year the Brisbane City Celebrants duo decided that this Christmas more than anything we really wanted to ‘give back’. 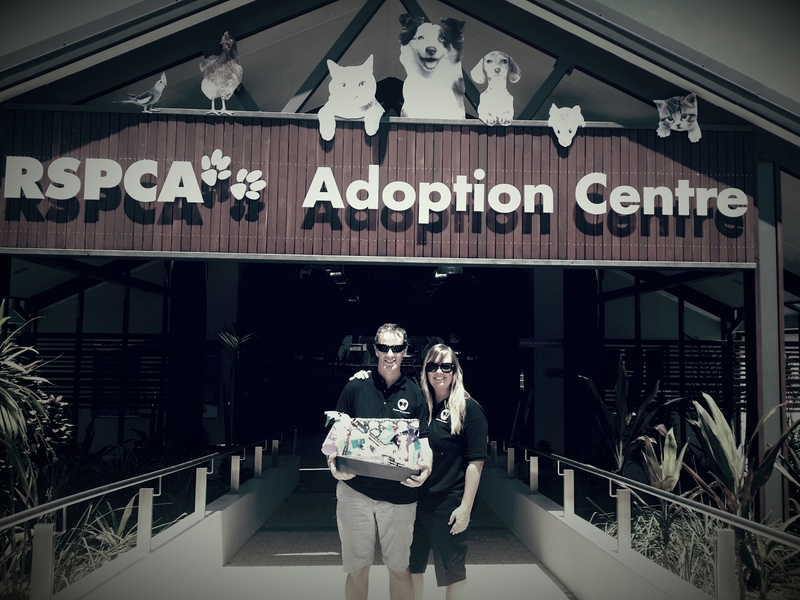 We contacted our local RSPCA in Wacol who provided us with their Christmas ‘Wish List’ which included a variety of household goods, cleaning products and of course pet toys, harnesses and treats! We spent the weeks leading up to Christmas working though our wish list checking off items until we had an abundance of pet goodies! Plus some tasty sweet treats for the hard working caring RSPCA volunteers who give so much time, love and companionship for the animals in their care. 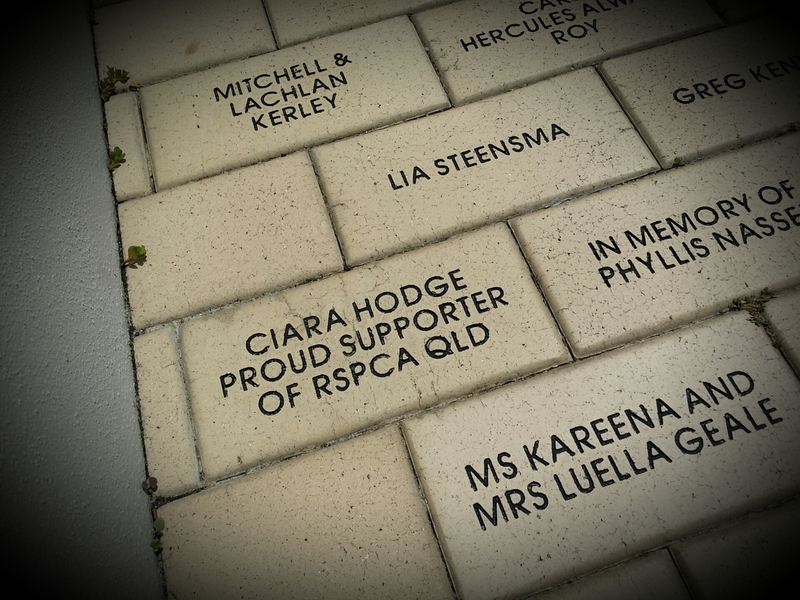 On Christmas Eve we arrived at the RSPCA with our hamper of goodies where we were excited to be greeted by our names etched in the entry pavers in recognition of our previous support to RSPCA QLD. 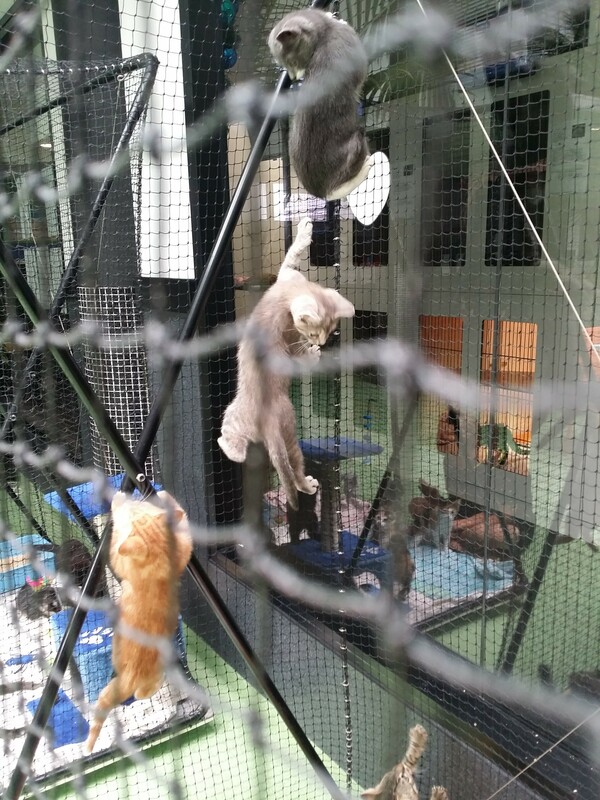 We were welcomed by some very thankful volunteers and after handing over our hamper they invited us to have a wonder around the facility which we eagerly accepted. With an ‘only child’ type cat who is a former RSPCA resident, and two rescue dogs we already have a full house so unfortunately we aren’t in the market for adopting any more fur babies, however that didn’t stop us falling for many of the puppy dog eyes that stared back at us. Jamie had a big soft spot for a ginger adult cat who greeted him with a ‘Meow’ and continued to appear to converse with him, responding to his chatter at regular intervals with several more ‘Meows’. 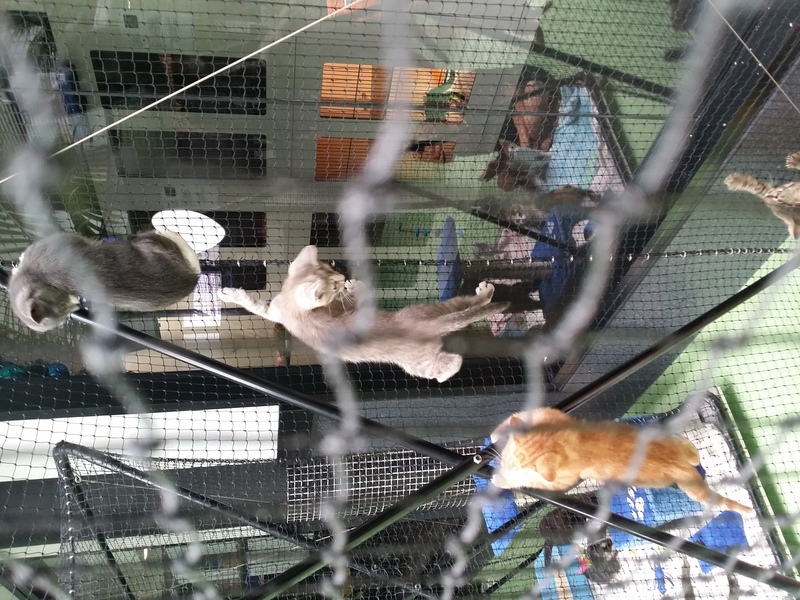 I was particularly taken by the highly entertaining kittens, especially the playful little fella that climbed right to the top of the netting, enticing his buddies to follow suite. If you are thinking of getting a pet, we highly recommend getting a rescue animal. The love they have to show you for giving them a better life is truly infinite! Thank you for reading and letting us share our love for animals with you. If you are getting married in Brisbane and you love the idea of including your pet in your ceremony and are looking for a Celebrant that loves animals and will embrace your love for your fur or feathered friend, we would LOVE to hear from you! Contact Brisbane City Celebrants.